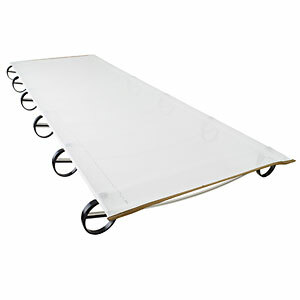 The Mesh Cot is also sold as the Therm-a-Rest LuxuryLite Mesh Cot. 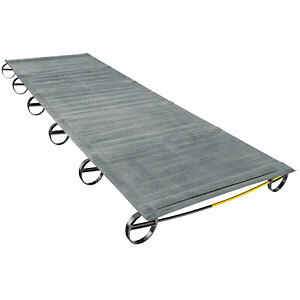 I used this cot on a canoe trip in the Adirondacks and I was very happy with it. 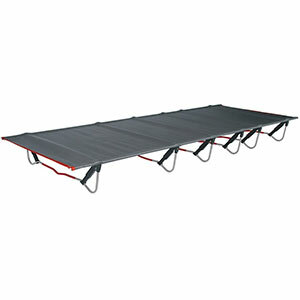 No lumps, and very little "midnight luge"to the bottom of the tent, no bars under your head or heals. It's wide enough and weighs less than 4#. Packs up small 4"+- dia. x 10 to 14" long. This thing is solid and worth it if you want to SLEEP. Bring a ground pad for the insulation properties if it's gonna be cold. The other guys liked it also. "I hope you are comfy on my cot." Assemble it a few times before you go out. Be gentle puting the side rods into their sleeves, the mesh will catch and tear some. Mine did but it did not weaken the cot. 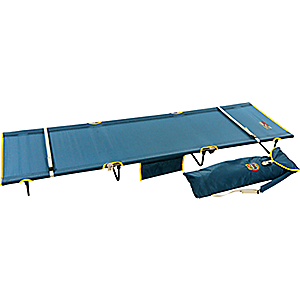 It can be assembled in any size tent. This thing is strong. I slept on it for three nights and it was great. I could sleep on my side, stomach, back, the cot is firm. Then I let my friend use it on the last night and he loved it. Bring a ground pad if it's gonna be cold. 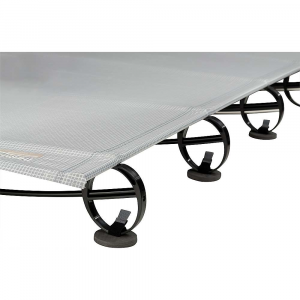 The LuxuryLite Mesh Cot is not available from the stores we monitor. 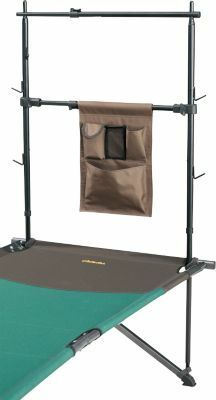 Also sold as the Therm-a-Rest LuxuryLite Mesh Cot.